One of the many things I miss about New Orleans is Mardi Gras. What’s not to miss about a two week long party filled with parades, music, good food and King Cake parties. 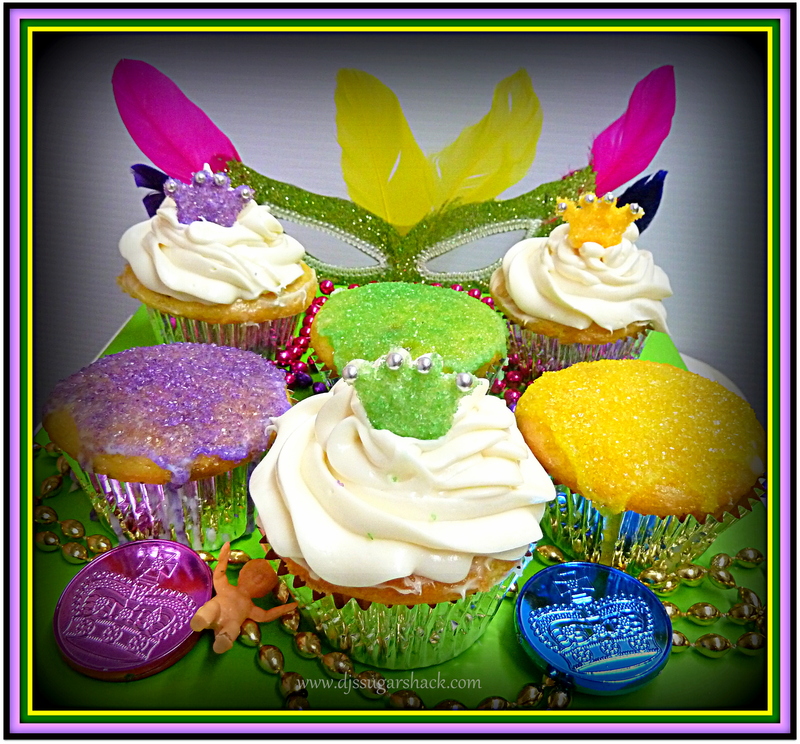 King Cake and King Cake parties area couple of those New Orleans things I usually get confused looks from people when I mention it here in Alaska. 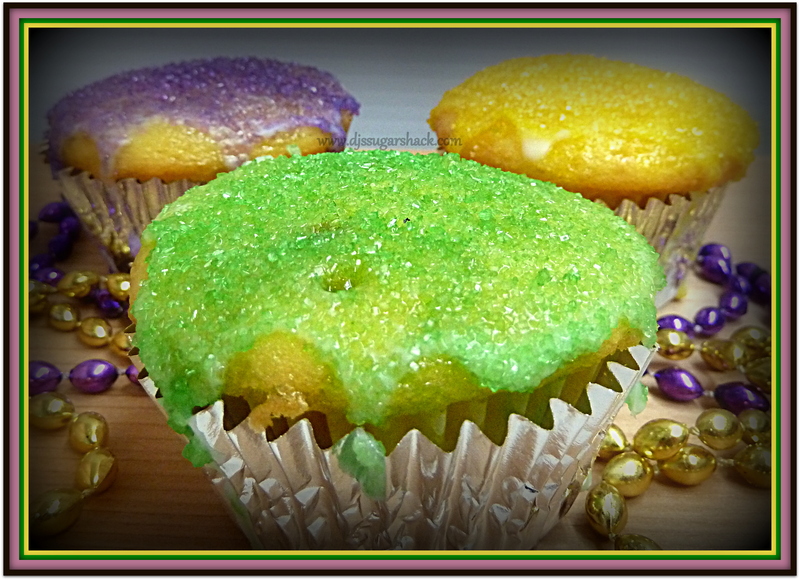 King Cakes are ring shaped cakes made of dough & cinnamon then covered with icing and purple, green, and gold sugar. Many bakeries fill them with cream cheese, apple, lemon, or other fillings. They are available beginning on King’s Day (January 6th) until Mardi Gras Day. Each cake contains a plastic doll which brings me to King Cake parties.. Its a tradition that takes place in many schools and offices. Once a week, usually on Friday , some one brings a king cake. The person that gets the piece of cake containing the baby has to bring the king cake the next week. I have the best mom in the world. Every year she sends me a King Cake as soon as theyare available in bakeries. Once she even carried one all the way from New Orleans to Alaska as part of her carry one luggage. Now that’s good mom:) This year the one she sent half cream cheese filled and half apple filled. It was delicious. Thanks Mom! When I got it I was determined to try to bake my own King Cake , but somehow I got distracted by Valentine’s Day and forgot. 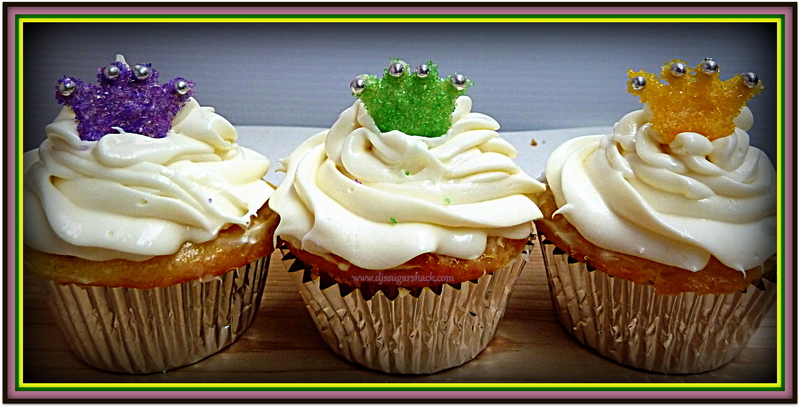 So instead I made these King Cake Cupcakes. I stumbled upon the recipe a while back at Hoosier Homemade. They have a thin cinnamon layer baked into them. YUMMY. And since I love cream cheese king cake I had to top some with cream cheese frosting. Preheat oven to 350 degrees. Prepare cupcake pans with liners. In a small bowl, combine brown sugar, cinnamon & melted butter. Stir until crumbly and set aside. In a separate bowl mix the cake mix, buttermilk, oil & eggs. Spoon about 1 tablespoon batter into the liners, sprinkle with cinnamon mixture, then spoon about 2 tablespoons of batter on top of the cinnamon layer. Bake at 350 for 15-20 minutes and cool on wire rack. Slowly add milk to powdered sugar stirring until you get the consistency you want.